A quick summary: one of the most effective pieces of bird conservation legislation ever—the Migratory Bird Treaty Act—is under threat. Additionally, there is another challenge, specifically to Sage-Grouse conservation. Birders are urged to contact their elected representatives and make their support for bird conservation known. Information on how to do just that follows. By now, you’ve probably seen the news that the Migratory Bird Treaty Act (henceforth MBTA) is under threat due to its inclusion in an appropriations bill that seeks to defund enforcement of the law. As you might expect with just about anything that comes out of Washington, the mechanisms by which this can occur, and the means by which the legislature can do such a thing, are byzantine and frustratingly (and ironically) foreign to many Americans. Because of all that, it’s not clear through all of the legislative haze whether this is something about which birders should be very concerned, somewhat concerned, or not at concerned. I hope that this post will provide some information and context as to what, precisely, is going on here, and ideally provide some avenues for birders to try to make their voice heard on this matter in a productive way. Bottom line: this is complex and a bit muddy, but it appears to be a serious enough threat that birders ought to make their voices heard, and now. The MBTA was enacted in 1918 as a treaty between the United States and Canada to attempt to stop the commercial take of birds and, particularly, bird feathers. It basically states that it is illegal to pursue, hunt, kill, sell etc, birds or bird parts without a permit. Permitted exceptions include hunting of game birds, bird banding, and falconry, for instance. The law is enormous in its scope, protecting everything from accentors to yellowthroats to the robins and thrashers in your backyard. Historically it’s been fairly uncontroversial, with little pushback in efforts to add species to the list of those protected. Enforcement of the law is the purview of the US Fish & Wildlife Service, and running afoul of MBTA can lead to fines of up to $2000 and jail time up to 2 years, accrued per bird. What does MBTA look like in the real world? It’s easy to write off the MBTA as that law that says you can’t keep feathers you find (I’m not going to turn you in, don’t worry), but it has been an enormously effective tool for conservation of habitat over its lifetime. This is because even the potential of harming birds can be a deterrent. The MBTA has often been used as a lever to induce industrial interests to be more conscientious about how their infrastructure development affects the land. In Alaska’s Beaufort Sea, for example, fossil fuel companies were forced to modify a pipeline to a small island they intended to use as a drilling platform because of the potential harm to Common Eiders and Long-tailed Ducks and the implied threat of litigation under the MBTA. After the Deepwater Horizon disaster in the Gulf of Mexico, FWS responded, in part, to document losses because that work was justified by the MBTA. Of late, FWS has been enforcing the MBTA against the telecommunications industry and the wind power industry to mitigate the impacts of their activities via “voluntary guidelines” as well. There are countless examples in the US and Canada of industry taking short cuts at the expense of the environment, so having effective oversight to protect migratory birds is of paramount importance. Failure to enforce MBTA can be problematic in a great many ways. So, what’s the deal with this rider? None of the funds made available by this Act may be used to prosecute or hold liable any person or corporation for a violation of section 2(a) of the Migratory Bird Treaty Act (16 U.S.C. 703(a). So the amendment seeks to remove appropriations for enforcement of the MBTA. The MBTA would still be the law of the land, but the Department of Justice would no have funds available to pursue enforcement of the law. It goes without saying that a law without teeth is more or less worthless. It’s important to note that this appropriations bill applies only for fiscal year 2016 ( October 2016 – 30 September 2017). So in theory the funding for enforcement of the law would be re-instated for the next fiscal year unless the language in this current bill is re-enacted. Where is this appropriations bill now? The bill passed in the House of Representatives fairly easily. It’s now scheduled to go to the Senate where where it will likely see more opposition. Senate Minority Leader Harry Reid (D, NV) has stated that he intends to block any appropriations bill that comes out of the House in which spending is locked at levels set by the sequester agreement of 2013. You may remember that the sequester agreement drastically cut federal spending via automatic cuts in a futile attempt to induce some sort of budget agreement that year. Further, President Obama has likewise vowed to veto any such spending bill. That would presumably include this appropriations bill, should it make it out of the Senate. In the short term, yes. Assuming that Reid and the President are not exaggerating their positions, it’s unlikely that this bill, as it stands, will survive the Senate intact. And it’s very unlikely that such a bill would be signed by the President. But compromise is inevitable, and that doesn’t mean that MBTA enforcement wouldn’t then be a token in a compromise that could see presidential approval. There are at least nine appropriation bills to fund various parts of the government currently under debate. It’s not hard to see a situation in which MBTA is compromised to see, say, the defense appropriation bill passed. That’s why it’s important that defunding MBTA enforcement be taken off that table. So how do we get the MBTA off the table? The best way is to ensure that MBTA has supporters, including the birding community. The bill is already through the House, but there may be an opportunity to make your voice heard in the Senate. Birders should be urged to contact their Senator, particularly if that Senator sits on the Appropriations Committee for Commerce, Justice, Science, and Related Agencies. The full list of Senators and their contact info can be found here. 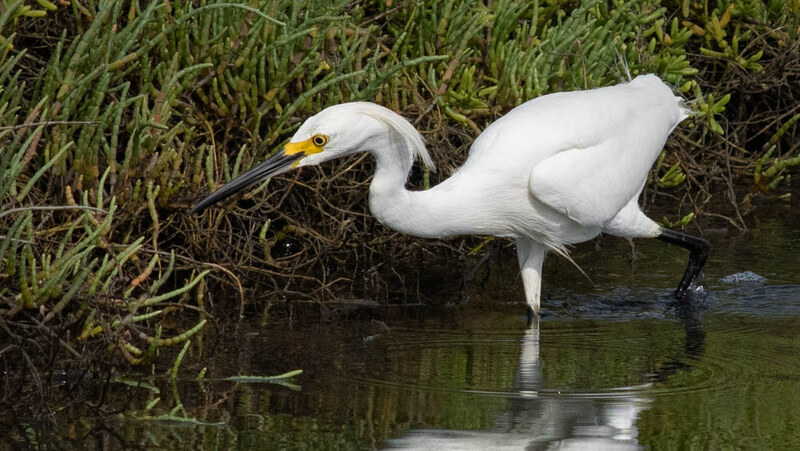 Dear Senator: Please vote against the appropriations bill for Commerce Justice and Related Agencies unless the rider that blocks enforcement of the Migratory Bird Treaty Act (Amdt 347) is removed from the bill. The MBTA is one of our most important wildlife protection laws and this rider would allow people to kill wild birds without any penalty whatsoever. Our wild bird populations are already under severe pressure and many are in severe decline. Please do not block the USFWS from enforcing this important law that protects our wild bird populations. Make sure to include your full address and zip code so that the Senators will see that you are a constituent. At very least a congressional staffer would put a tally on our side. UPDATE: American Bird Conservancy has also made this super easy. Feel free to use their prompt. Who knows? The gears of legislation move slowly and often strangely, but it can’t hurt to show support to one of the first, and most influential, pieces of environmental legislation in US history. And, if the MBTA threat weren’t enough, now comes a serious challenge to already-imperiled Greater Sage-Grouse in the form of the National Defense Bill, which would suspend Endangered Species Act protections for that species and the critically endangered Lesser Prairie-Chicken. Click here to read more, sign a petition created by the American Bird Conservancy, and consider mentioning this issue in any communication you have with your Representative, as well. Section 6(a) of the Migratory Bird Treaty Act (16 U.S.C. 707(a)) is amended (1) by striking `shall’ the first and second place it appears and inserting `shall with intent knowingly’; and (2) by adding at the end the following: `For the purposes of this subsection, `with intent knowingly’ does not include any taking, killing, or other harm to any migratory bird that is accidental or incidental to the presence or operation of an otherwise lawful activity.’. This one is particularly insidious in that it is not applied simply to the upcoming fiscal year, but seeks to permanently change the MBTA by removing the potential liability for incidental take. Without that no industry would ever have to worry about killing any birds ever. It’s moving slowly, but certainly something to keep an eye on as well. This post has been edited from the original for clarification.